CoinDesk has reported that OKCoin, a Chinese Bitcoin exchange, has undergone an audit and has revealed that its reserves stand at 104% of customer deposits. This number means that the exchange has enough money on reserve to release 100% of their customer’s deposits, while still leaving them with an extra 4%. The Bitcoin exchange has stated that it is also planning to make the content of their reserves more transparent to the public; OKCoin is working on a cryptographic account verification system—known as a merkle tree system. This system would allow individuals to verify that the Bitcoin exchange has the contents of their account on reserve, verified by the full audit and available for withdrawal. The audit of OKCoin took four days to complete, and was conducted by Stefan Thomas, the Chief Technical Officer of Ripple Labs, who offered his services to the Bitcoin exchange at no charge. According to CoinDesk, Thomas has previously led audits on two other, popular Bitcoin exchanges: Kraken and Bitfinex. OKCoin’s CEO, Star Xu, conceded that this audit only proves the full reserves of the exchange for a brief period of time. However, Xu said that his company intends to adopt a regular schedule of auditing, to provide transparency and give a sense of security to OKCoin’s customers. We have always sought to provide our customers with confidence in OKCoin’s security and world-class technology architecture. Whilst many bitcoin businesses have talked about being transparent, only a handful have taken the necessary steps. CoinDesk noted that other Chinese Bitcoin exchanges are gearing up for audits of their own, hoping to reinforce their customer’s confidence. BTC China announced on August 19 that it would bring in an independent, third-party auditing service to audit both their hot and cold wallets, so that customers can rest assured that their funds are safe and available to them at any time. Additionally, Huobi is developing a merkle tree verification system of their own so that customers can securely audit their own, individual accounts, to make sure that their money is available. As mentioned above, the both BTC China and Huboi have announced that they are planning to implement full audits and develop methods of allowing customers to individually audit their own accounts. However, both Bitcoin exchanges have offered further comments in regards to the recent demand for exchanges to show proof of their reserves. As a result of the collapse of MtGox, public trust in the bitcoin industry was deeply shaken, with particular focus on exchanges and other service providers that hold users’ private keys. This distrust still lingers (not only from Gox but numerous other hacks and scams) and inhibits wider public acceptance of bitcoin. With the significant price drop in recent days, influential commentators in the Chinese bitcoin community have accused the Chinese exchanges of running fractional reserve systems and urged the exchanges to open up and prove 100% reserves. Internal data analysis has shown that of all the BTC in Huobi user accounts, only 20% is actively traded. The other 80% usually remains dormant except during major market movements. The data from non-Chinese exchanges is almost certainly different. The reason can be accounted for by a major difference in bitcoin user habits. Most Chinese bitcoin users treat exchanges like banks, trusting their long-term bitcoin investments in the hands of a third-party. Most international users, on the other hand, take the bitcoin motto “be your own bank” to heart, and keep their long-term bitcoin investments under their own control (if they have been paying attention in class). BTC China pointed out that they already make the contents of their order books fully available, but will also began conducting yearly audits of their reserves. A BTC China spokesperson ensured CoinDesk that the independent auditing firm they hire to investigate their reserves will be reputable auditors and will have access to fully anonymized account information. While our auditors are prominent within the Chinese bitcoin community, we recognize that to many of our international users they may be unknown. As an international platform, it is very important to us that all of our users, current or potential, have faith in our security and stability as an exchange. Ever since the failure of Mt. Gox, distrust in Bitcoin exchanges among an ever-growing portion of the Bitcoin community. 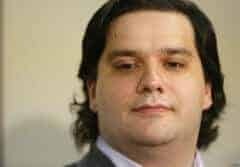 Accusations against Gox and its leader, Mark Karpeles, including fraud, theft, and operating much like a fractional reserve bank, have caused many members in the community to be weary of any Bitcoin exchange. This distrust has only grown alongside the popularity of margin trading on Bitcoin exchanges. First adopted by Bitfinex and BTC-e last year, margin trading allows investors to borrow money from the exchange and leverage their Bitcoin investments. That credit, issued by the Bitcoin exchange, contributes to an increasing Bitcoin price; if margin trading becomes a widely used investment method, then large portions of Bitcoin’s value will come from credit. Not only does this notion raise fears of a Bitcoin credit bubble—which has happened on small scales recently, with the two flash-crashes on Bitfinex and BTC-e that were likely caused by margin calling—but it also strengthens the assumptions of some skeptical members of the Bitcoin community that the exchanges are partaking in fractional reserve lending. By loaning money to margin buyers, the exchange would—according to these skeptics—have to take funds from the accounts of other investors, which thereby makes the exchange unable to release 100% of their reserves to their customers at one time. However, OKCoin’s audit, revealing that it has over 100% reserves, along with promises of audits from other exchanges, may ease the minds of some members in the community.